650 and 651 are in service. Well I have yet to see 650 myself, but I did see 651 on Wednesday. Thought I saw 621 today, turns out it was 672. I had no idea there were more blue artics coming into the fleet, I thought the talk about the next 80 buses were all to be standards, so much for that. I'm glad there's more tbh, really like the Volgren artic compared to the Euro. So we're now gonna have 50% or something more artics and 50% less school runs for them to be used on lol #TransportCanberraLogic. It's been known for months they were on order, information has been in the fleet list since before the first Bustech (2nd batch) were delivered. Also not sure what a 'euro' artic is meant to be. As in the Scanias that look identical to the Euro 6 standards if looking from the front. 675 has entered service, it just came past on a 67. As is 673 and 674. I can confirm 681 is at Tuggeranong. Don't quote me, but my understanding is all 40 will be "extra". I said don't quote me! With all 40 now in service, the numbers are in. Based on what's known, there has been a net increase of 19 buses: 9 standards and 10 artics. Belconnen has gained 7 & 5, Tuggeranong 2 & 5. 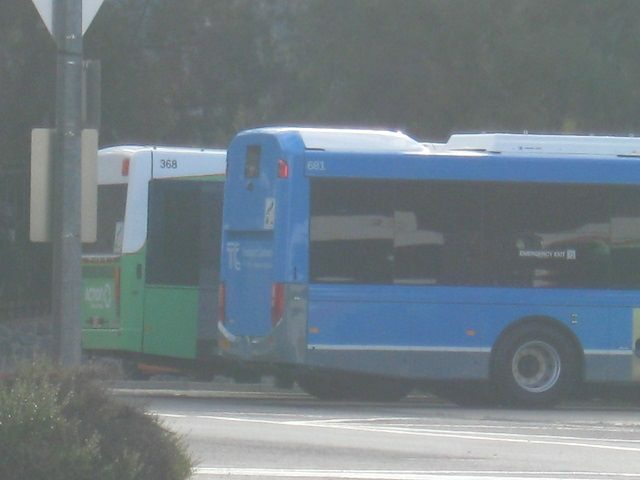 Which means 21 have been withdrawn (some permanently) - 11 PR100.2s, 8 PR100.3s, 1 B5RLEH & 1 BYD Toro (so far); 18 of these are at Tuggeranong Depot and may be able to return if required. I was told some of the graveyard Renaults might return if needed for the new network, although I would think that's probably highly unlikely. Last I looked, 710 and 711 were still at Tuggeranong. I've been trying to ask around what's happening to 710, but no one else seems to know so far. You would think that light rail will free up at least 10-15 mouses maybe more. Maybe the graveyard would only be needed if lightrail operations get delayed and the new network needs to come in before light rail is operational. Well I've heard quite a bit about a contingency plan, so that's probably a part of it.